The tallest man in the company at 6ft 2″was 24 year old Alex Garden . He must have seemed like a giant to many of his fellow sapper’s. He was certainly considered soldier material, the perfect image of a man the Australian military authorities wanted to show the rest of the world. Interestingly before Alex enlisted, his early attempt to join the Victorian police force was unsuccessful as they claimed his body weight was not in proportion to his height, and he was rejected as a possible recruit. Alex was born in Dunedin New Zealand, his parents James and Jane Garden – nee Henderson. He enlisted stating he was a carpenter by trade working for the Henderson Family business in Anderson’s Bay, Dunedin, New Zealand. Alex arrived in Australia in 1910 and like most men coming to the Australia, he was keen to seek out new opportunities. His early unsuccessful attempt at joining the police force must have been quite a disappointment, however once the call to war came Alex would follow a new path as a soldier with the AIF. In the early months at Gallipoli Alexander suffered with a mild case of measles and later diarrhea but nothing serious enough to keep him from returning at full strength. He managed to see through the entire campaign almost to the end. In the final weeks of November 1915 at Gallipoli, the weather conditions had taken an unexpected turn. Snow was falling, accompanied by heavy winds and the ground was frozen hard. The Turkish bombardments towards the end of the month became more intensive. It was just a few more weeks before the Gallipoli campaign would see its final chapter… evacuation. On the 29th November the heavy shelling at Gallipoli had claimed up to 150 casualties and as many as 30 were killed and the following day 151 Ernest Murray noted in his diary , there was another day of heavy shelling and sapper 56 Alexander Garden was wounded. 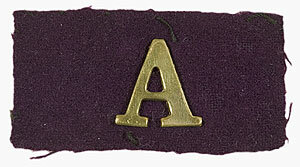 Just two days later the general evacuation of Gallipoli commenced and at the same time Alex Garden had been transferred directly to no. 19 General Hospital in Alexandria with a shell wound to his thigh and a serious compound fracture to his femur, his leg later requiring amputation. His general health would have been very poor, and suffering from a serious wound and an amputation, Alexander Garden unfortunately died on the 8th December 1915. By the 14th December the last of the originals “12 old boys left” by Ernest Murray’s estimate, departed Anzac in the night and arrived at Lemnos the following day. Alexander was later buried at Chatby Military Cemetery Egypt, in the same cemetery as fellow sapper 212 Charles “Chook” Carrington Fowle. News of Alexander’s death was published in the Sydney Morning Herald on Christmas Eve 1915. Alex’s mother somehow found the strength to write a letter to the war office on Chrstmas Day and fowarded the letter below sorrowing for her loss and her needy situation. She was not impressed with this war business , but remained dignified and courteous in her letter. 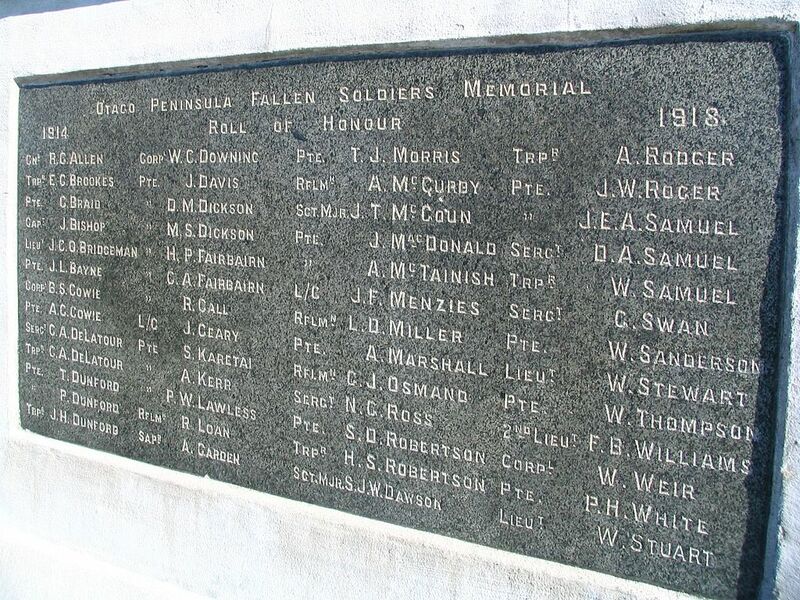 Alexander’s name was included on the Otago Peninsula Fallen Soldiers Memorial pictured above. The following press article by Ron Palenski describes this marvelous memorial, a truly organic looking monument. “The memorial was designed by architect Edward Walter Walden and sculpted by Robert Hosie, the infantryman in greatcoat with rifle slung over his left shoulder stands about 3m tall atop a bluestone column of about 10m.Together, they are fixed on top of what used to be known as ”the Big Stone” but which shortly before the memorial unveiling in 1923………….The weather was not kind the day the memorial was unveiled. The Rev Andrew Cameron, one of the leading Presbyterian figures in New Zealand at the time, provided the religious accompaniment and the local member of Parliament, James Dickson, the secular. How many people were there for the unveiling was not recorded: it was ”a large concourse” in the Otago Daily Times and ”a very large gathering” in the Evening Star. During the formal ceremony the people, said to be from all over the city and the peninsula, sheltered as best they could in the lee of the great rock from the southerly that swept in over Tomahawk and Anderson’s Bay. Alexander Garden’s name on the Original Plaque on the Otago Peninsula Memorial now replaced with a new plaque in 2015.